Steve Trevor, compelled by the Lasso of Truth, tells a horrifying tale. The War to End all Wars has devoured the world of men. Millions are dying as the emergence of chemical weapons takes their toll. Diana fears this is the work of Ares, the God of War. Her mother defeated Ares in a battle that destroyed the Gods of Olympus. Diana, against her mother's stern wishes, decides to leave Themyscira and face Ares. The carnage and disrespect she discovers is far worse than imagined; yet only a piece of a vast wealth of new emotions and experiences. The screenplay by Allan Heinberg is damn good. A comic writer for Wonder Woman, he knew the source material and intrinsic values of the character. He updates the setting of the story to take place during Word War I instead of World War II. Diana, in Themyscira, is an unparalleled warrior with regal authority. In early 20th century London, she's just a pretty girl who should be seen and not heard by a male chauvinist society. Diana's struggle to be taken seriously as the hero is brilliantly conceived. She doesn't understand why she has to play a secretary or wear ridiculous clothes. Men do not respect her initially, but learn from that mistake at their own peril. The sexual tension and humor between the leads is fantastic. You will laugh hysterically as Chris Pine and Gal Gadot bumble through uncomfortable situations. Diana has never seen a man, but that doesn't mean she is unschooled in biology or "pleasures of the flesh". These scenes are cleverly written by Heinberg and well executed by the actors. They add sensitivity and genuine feeling to the plot. I liken it to the awkward as hell first date experience. It is the hard-to-capture realistic elements that distinguish Wonder Woman from the recent DC films. Director Patty Jenkins (Monster) needs to take a victory lap. A great screenplay doesn't always translate to a great film. Jenkins has a well rounded vision of Wonder Woman. The success of the film is equal to the sum of many good parts. She takes Gal Gadot and molds her into a fully realized character with extraordinary depth. Wonder Woman has brains, beauty, and heart. I don't mean to besmirch Zack Snyder, but this character development is where he failed in Man of Steel and Batman V Superman. Jenkins has a textured approach. She weaves a rich tapestry between character and story. The Diana we meet at the beginning of the film has grown considerably by the end. 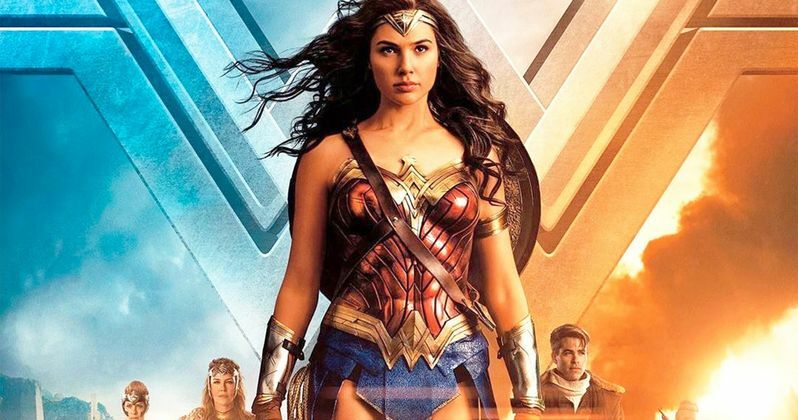 From DC Films and Warner Bros., Wonder Woman renews hope that the DC Universe can match the quality of Marvel. Gal Gadot proves she has the right stuff. Her Wonder Woman is every bit the hero and feminist icon fans deserve. The film is by no means perfect, but a needed step in the right direction. The Justice League has a solid foundation to build on. The producers just have to remember that respect for the character's history, sophistication, and moments of levity are key to the success of comic adaptations. Make a run when the credits roll, there aren't any additional scenes.